Over the past decade, some of the most innovative work in anthropology and related fields has been done in the Native communities of circumpolar North America. Critical Inuit Studies offers an overview of the current state of Inuit studies by bringing together the insights and fieldwork of more than a dozen scholars from six countries currently working with Native communities in the far north. 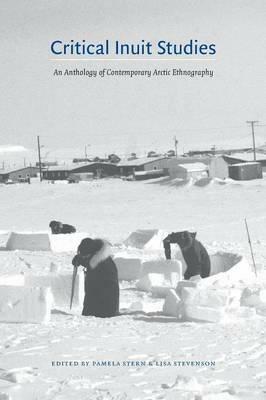 The volume showcases the latest methodologies and interpretive perspectives, presents a multitude of instructive case studies with individuals and communities, and shares the personal and professional insights from the fieldwork and thought of distinguished researchers.The wide-ranging topics in this collection include the development of a circumpolar research policy; the complex identities of Inuit in the twenty-first century; the transformative relationship between anthropologist and collaborator; the participatory method of conducting research; the interpretation of body gesture and the reproduction of culture; the use of translation in oral history, memory and the construction of a collective Inuit identity; the intricate relationship between politics, indigenous citizenship and resource development; the importance of place names, housing policies and the transition from igloos to permanent houses; and social networks in the urban setting of Montreal. Critical Inuit Studies is essential reading for students and scholars interested in today's circumpolar North and in contemporary Native communities.